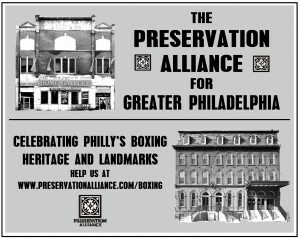 The Preservation Alliance is proud to support PhillyBoxingHistory.com and its 7th Annual Briscoe Awards. 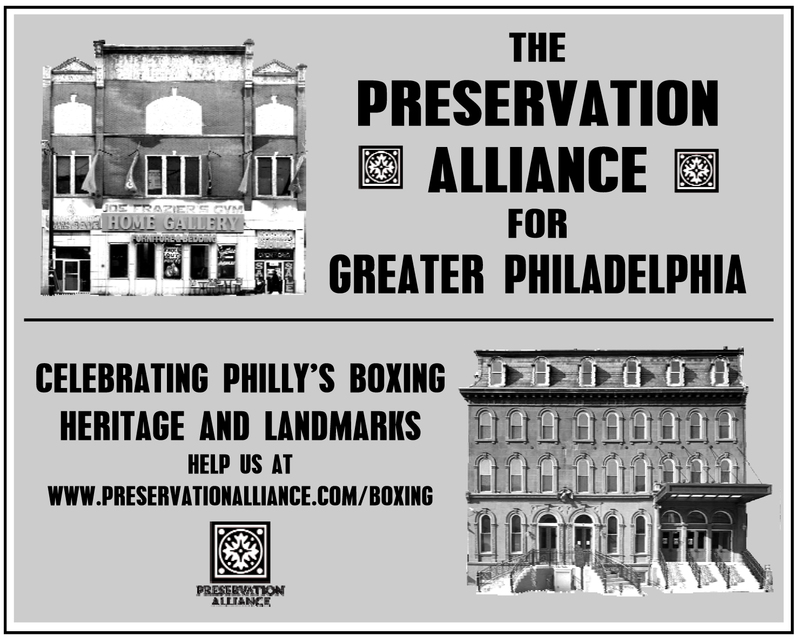 The sport of boxing is a true Philadelphia institution, and the Alliance is working hard to celebrate and preserve some of the city’s most important boxing landmarks. Click on the buttons below to learn more about our efforts, and what you can do to help us keep these places standing and vibrant.